The 2018 event attracted student presentations covering a range of research topics including stress and coping in humans and related species, ethics in the digital age, and how socioeconomic adversity affects brain development in children. With the addition of the fast-moving Three Minute Thesis presentations, the event was lively, interesting, and fun. People’s Choice was a tie! In 2016 more than 100 graduate students came together to present, network and compete for prizes. The 7th annual Grad Forum was centered around four themes that highlighted graduate student work from multiple disciplines: Crossing Borders, Crossing Cultures, Crossing Frontiers; Breaking New Ground in the Sciences; Challenges for a New Generation of Leaders; and In Our Own Backyard. The event featured 13 interdisciplinary panel sessions, two 5-minute blitz sessions, and a two-hour poster session, followed by a reception at the Barn Light. Twenty-seven graduate students received awards of $250 per person. 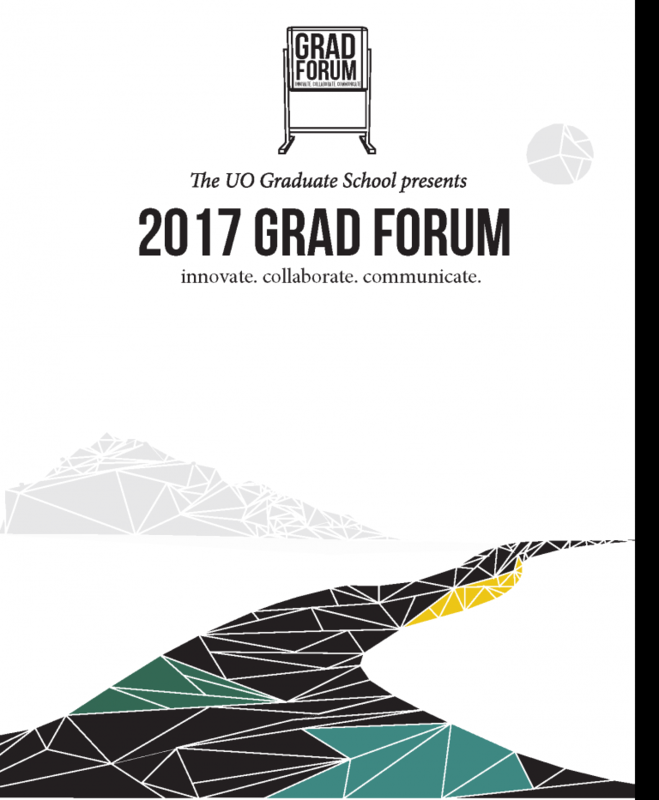 Around the O recapped the Grad Forum Poster Session with an article and video showcasing the breadth of research being done by grad students on our campus. 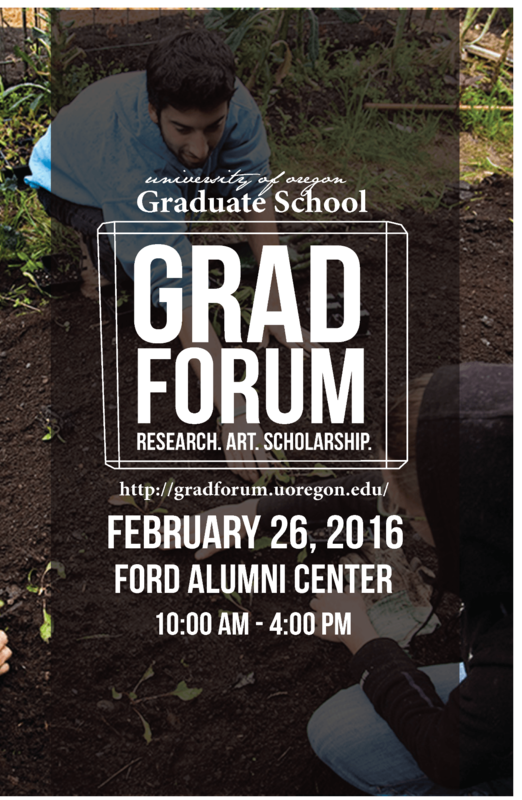 And, read student reactions to the 2016 Grad Forum on the Language Teaching Studies Blog. 1. Crossing Borders, Crossing Cultures, Crossing Frontiers Panel – “South Asia: Cracking Open the Black Boxes of Law, Democracy, Infrastructure, and Governance,” Sarah Hamid, Media Studies; Patrick Jones, Media Studies; Lindsay Massara, Law and International Studies; and Tariq Rahman, International Studies. 2. Breaking New Ground in the Sciences Panel – “Stress and Coping,” Kelsey Kuperman, Counseling Psychology; Erica Midttveit, Human Physiology; and Kristen Reinhardt, Psychology. 3. Challenges for a New Generation of Leaders Panel – “Adapting to New Trends in Policy and Technology,” Matthew Pittman, Media Studies; Rory Isbell, Law and Community and Regional Planning; Derek Moscato, Media Studies; and Aleksandria Perez Grabow, Counseling Psychology. 4. In Our Own Backyard Panel – “Social Determinants of Neurobiology and Stress,” Ryan Giuliano, Psychology; Erik Knight, Psychology; Melissa Liebert, Anthropology; Brianna Mintz, Couples & Family Therapy; and Leslie Roos, Psychology. Alyssa Franco and Nicolette Stauffer from Architecture also won the the People’s Choice award, a process in which participants are able to text in a code for their favorite poster. The 6th annual forum saw more than 150 graduate students come together to present, network and compete for over $14,000 in prizes. 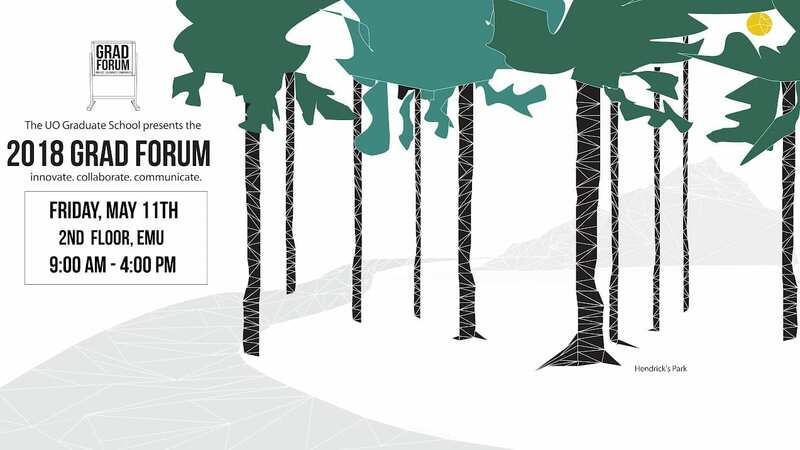 Four themes connected the work from multiple disciplines: Science and the Social Good; Academy, Race and (In)Equality: Bridging Research and Practice; Human Rights, Development and Sustainability; and Imaginative Design, Art, and Performance. More than 100 UO graduate students came together to present, network and compete for over monetary prizes at the 5th annual Graduate Student Research Forum. 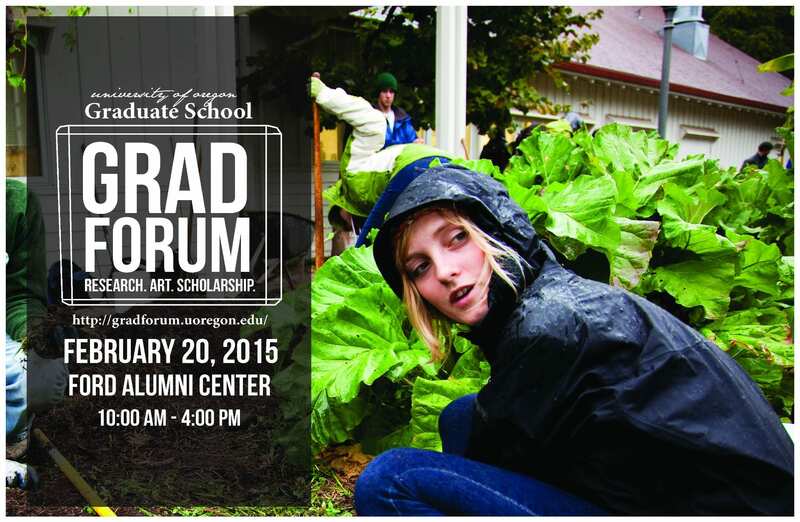 Around the O recapped the 2015 Graduate Forum Poster Session with an article and video. 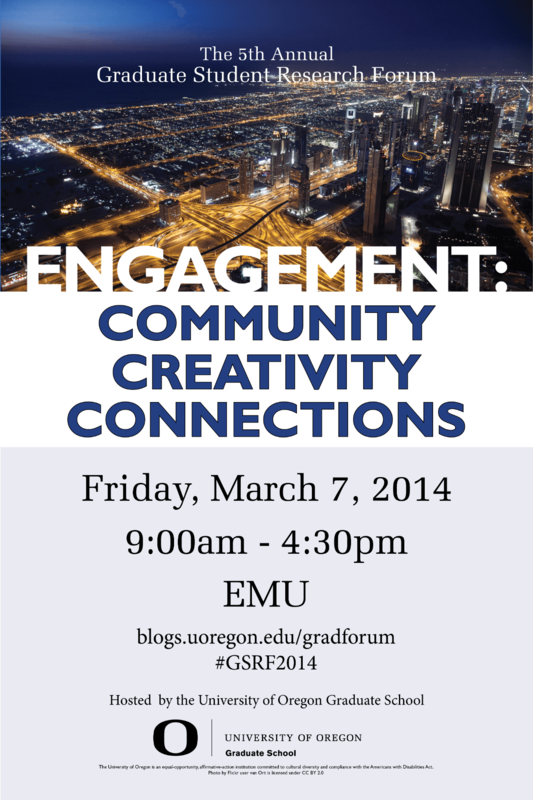 Watch the video to sample the breadth of research being done by grad students on our campus.